It wasn’t long ago that CLC seemed like they might become somewhat of an afterthought for Cube Entertainment after the rise of their labelmates (G)I-DLE, but they’ve come on especially strong in the last year or so, and that has finally paid off with a win on ‘The Show‘ for “NO“. 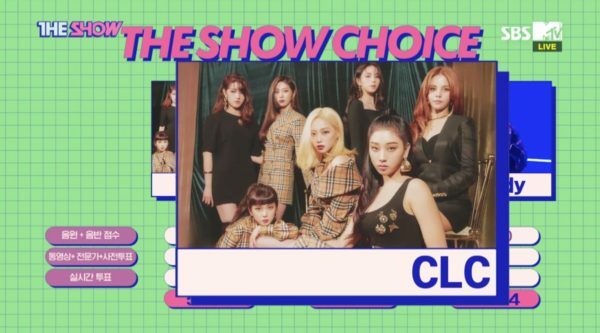 While the significance of music show wins is (justifiably) panned, especially when it comes to fans of groups arguing over how many dozens they have or whatever, for the nugu artist it’s definitely always great to get at least one. In particular, I’m happy for my girl Sorn, who has said in the past how much it means to her. They’ve come a long way from when Sorn shared her thoughts on CLC’s one-year anniversary (which earned her a fan in me). Previous [Giveaway] Win 1 of 10 copies of Dreamcatcher’s ‘The End Of Nightmare’ album!